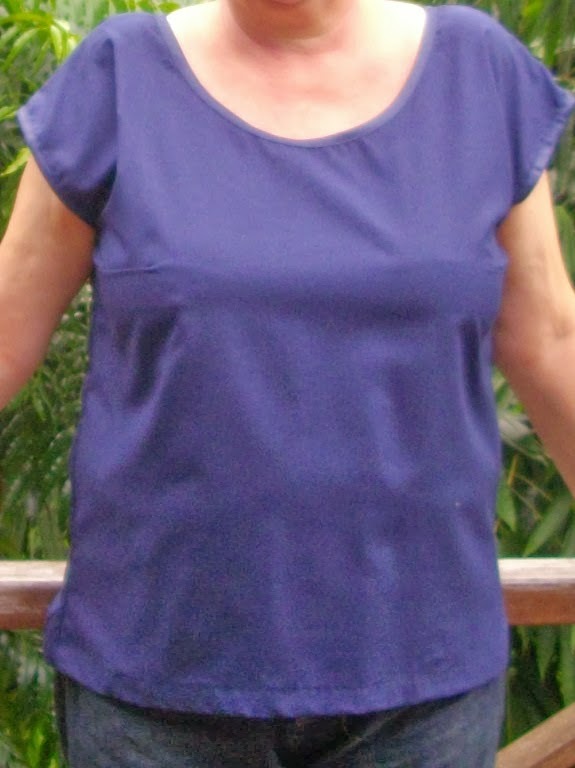 I made a sort of Sorbetto by Collette patterns – sort of because I took out the front pleat (I have two other tops with front pleats) and extended the shoulder because I’m not fond of sleeveless. 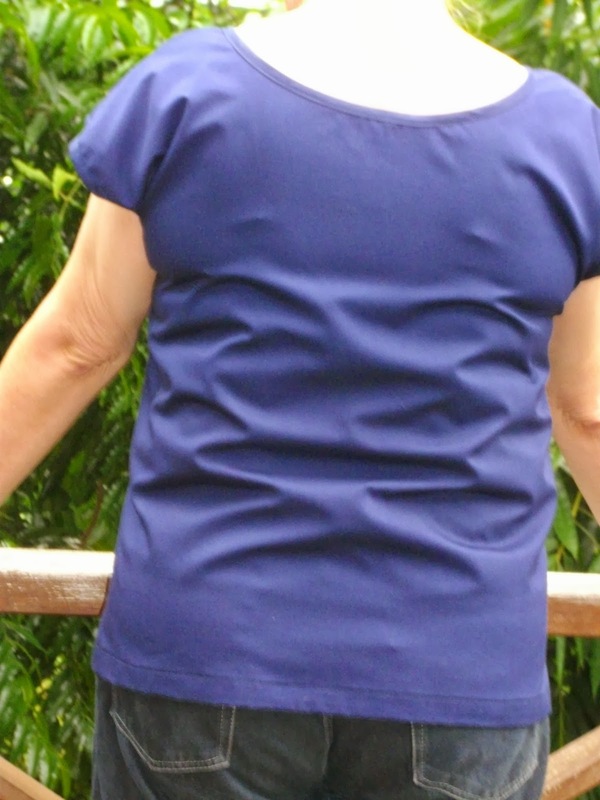 This is a great little top with fabulous versions all over the blogosphere. Unfortunately, this is not one of them. I should hasten to add this has nothing to do with the pattern or instructions and everything to do with the fit on me. See what I mean? Although to be fair I think some of those back wrinkles are from how I’m standing. But still there are obviously issues. I made a size 18 based on my bust measurement. However, after much reading around I think that maybe I should have made a 14 with an FBA. So I am now doing extensive research into FBAs starting with this excellent tutorial from Alison at i could make that! I’ll let you know how I get on…..
Hello and welcome to the sewing blogging world. I too have just got back into dressmaking after a very long absence. Thanks Louise. I looked at your blog and realised it was one of my favourite recent additions to my bloglist. I really liked the refashioned pieces in the yoke of Vogue 7903 and of course, you have also made me realise that I must make more of an effort to comment and not just to lurk…. Comments are so nice, aren't they? Thanks again for taking the effort to say hello and I'll follow your efforts with interest. You are right – it did get me sewing again – so what's not to like about that.